Urban Green Energy (UGE) and GE (GE) have unveiled the world’s first integrated wind-powered electric vehicle charging station. The innovative Sanya Skypump pairs UGE’s cutting-edge vertical wind turbines with GE’s electric vehicle (EV) charging technology to offer completely clean energy to power electric vehicles. 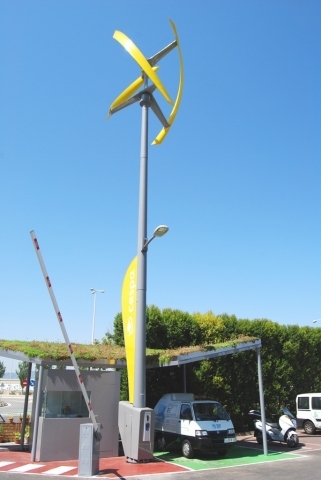 Installed by UGE Iberia, the Spanish branch of New York-based Urban Green Energy, the first wind-powered EV charging station is located at Cespa’s global headquarters near Barcelona. Cespa is the environmental services subsidiary of Ferrovial Servicios, the world’s largest private transportation infrastructure investor. More Sanya Skypumps will be installed later this year in the U.S. and Australia at shopping malls, universities and other locations. The integrated system incorporates both the energy production capacity of UGE’s 4K wind turbine and the EV charging capability of the GE Durastation in a single unit, with all required electrical systems located within the tower. Designed for commercial and government customers, the Sanya Skypump combines environmental benefits with a strong statement to customers and the public. The Sanya Skypump delivers power through a GE DuraStation EV charger, which enables faster charging using higher voltages. GE is a keen supporter of electric vehicles and has announced plans to purchase 25,000 electric vehicles by 2015 for use as company cars and to lease to corporate customers through its Fleet Services business. With installations in over 65 countries, including installations for several government agencies and Fortune 100 companies, UGE is changing the face of distributed renewable energy. UGE puts users in control of their energy source by designing and manufacturing more versatile wind turbines and hybrid wind/solar systems for use in applications ranging from residential to commercial, from suburban US homeowners to off-grid telecoms towers in rural Africa. Visitwww.urbangreenenergy.com today to learn how together we can create a greener tomorrow. GE Energy works connecting people and ideas everywhere to create advanced technologies for powering a cleaner, more productive world. With more than 100,000 employees in over 100 countries, our diverse portfolio of product and service solutions and deep industry expertise help our customers solve their challenges locally. We serve the energy sector with technologies in such areas as natural gas, oil, coal and nuclear energy; wind, solar, biogas and water processing; energy management; and grid modernization. We also offer integrated solutions to serve energy- and water-intensive industries such as mining, metals, marine, petrochemical, food & beverage and unconventional fuels. Follow GE’s Industrial Solutions business on Twitter @GEindustrial and @GE_WattStation. A lot of new, large, solar and wind power projects have been announced, finished, or funded in the past day or so, so I thought I’d do a combined post on all of these together. 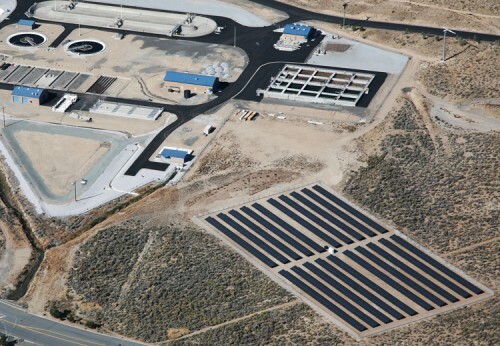 One of Enfinity’s solar plants for the City of Reno. Hawaii’s largest wind power project, the 69-megawatt (MW) Kawailoa Wind project on Kamehameha Schools’ Kawailoa Plantation lands on Oahu’s North Shore, is now under construction. The wind power project will include thirty 2.3-MW Siemens wind turbines, which will produce enough electricity to power approximately 14,500 homes on Oahu Island, approximately 5% of the island’s total electricity demand. U.S. Senator Daniel K. Akaka, Hawaii’s Lieutenant Governor Brian Schatz, State Senator Mike Gabbard, Honolulu Mayor Peter Carlisle, and others hosted a project groundbreaking on Friday. “This is the largest wind farm in Hawai’i’s history, and it shows the progress we are making toward our clean energy goals. This is a great day for Hawai’i. We’ve moved from talking about renewable energy to actually doing it,” Lt. Gov. Schatz. That line above that I bolded really stands out to me. 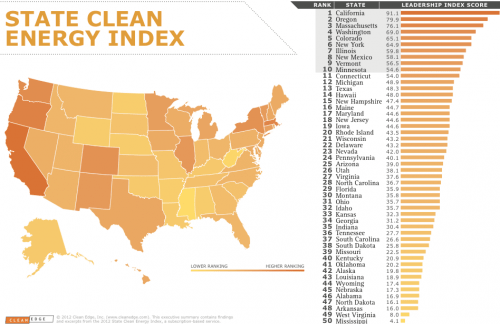 The huge majority of the U.S. population supports and wants more investment in clean energy. Poll after poll after poll shows this. And a lot of folks in highly influential positions talk about supporting clean energy. But support and talk are different from action, and they generally come long before it. It’s exciting to see more and more states, localities, and nations moving forward with clean energy, and I can only hope that the others will quickly move from theoretical support and talk to action. One key reason we featured so many stories like this on CleanTechnica is because I think they inspire others to start and eventually implement such projects, or similar projects that green their world with another clean technology. 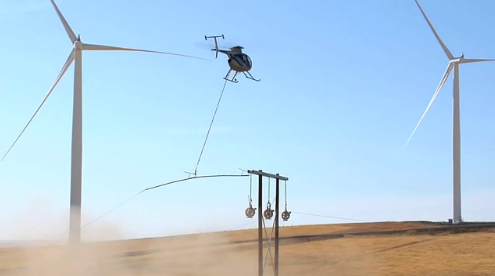 I’m sure that clean energy mandate was a huge part of this project’s fuel. Don’t have such a mandate in your state? Or have one that you think is too weak? Organize some influential and inspirational people and get it going!